Taking over-the-air packet captures is one of the fundamental tasks in designing, maintaining and troubleshooting wireless networks. Typically, a packet capture is viewed as a list of the captured frames. Wireshark makes it easy to dive in and inspect each of these frames and all of the fields that they are comprised of. 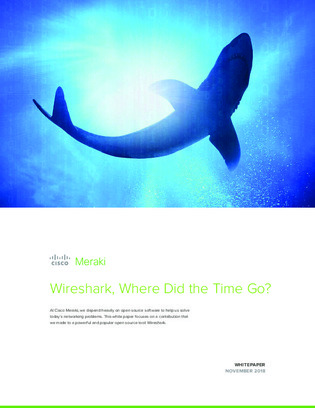 In this white paper, learn how Meraki developed a new way to visualize captured packet data in Wireshark that makes the timing of these frames much clearer, making it much easier to diagnose certain types of issues.